You want to have a basic level of trust and confidence in your salesperson since a considerable amount of money is at stake. 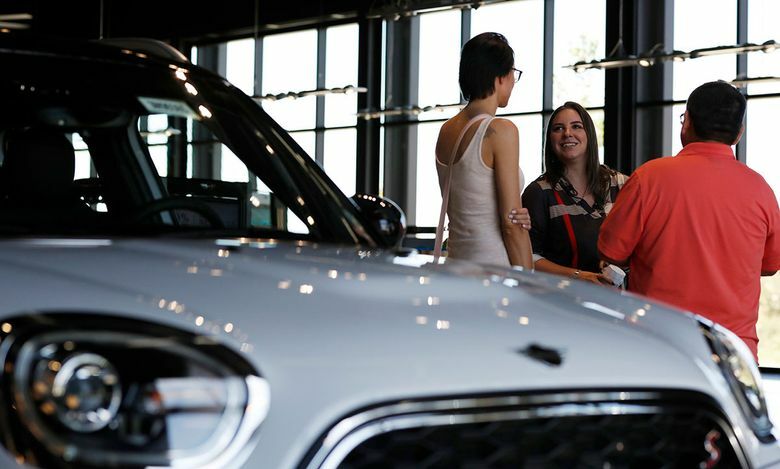 If you work with a good car salesperson, the shopping process can actually be fun — and you’ll be more confident you’re getting a good deal. Unfortunately, most people think they have to stick with whichever salesperson latches onto them first, even if they begin to feel pressured, intimidated or misled. But car buyers can and should test-drive, or vet, their salesperson — and be willing to switch if needed. “Most people don’t realize they have control over which salesman they work with,” says Oren Weintraub, who negotiates and buys cars for his clients as president of Authority Auto in Tarzana, California. He recommends that shoppers “qualify” salespeople — a popular sales term — similar to the way they qualify you, by asking probing questions about you, your job and your budget. visit the “About Us” page on the dealership’s site. Try to check your credit before a test drive. Some salespeople say they’re required to run a credit report before you test-drive a car. This isn’t true. And it should be cause to avoid this salesperson and, perhaps, the dealership. “Never let them run your credit until you’re ready to buy a specific car,” Weintraub advises. However, asking to see your driver’s license before a test drive is a legitimate request.